I am using following code to create bt2.vrt file using python. # Function to write a new file. # the '1' is for band 1. # Get the first (and only) band. # Open as an array. # Now turn the array into a vrt. 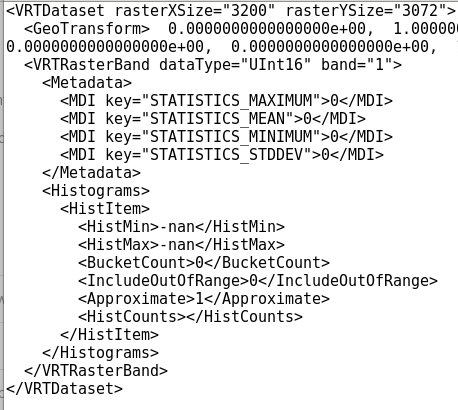 According to : Unable to warp HDF5 files I need to include lat.vrt and long.vrt as y_dataset and X_dataset respectively to perform "gdal_warp" on bt.vrt file. How to include it using python code? Browse other questions tagged python gdalwarp geolocation vrt or ask your own question. Is it possible to create VRTWarpedDataset with many sources using python and gdal?